Useful Links | Rhino Resources Ltd. 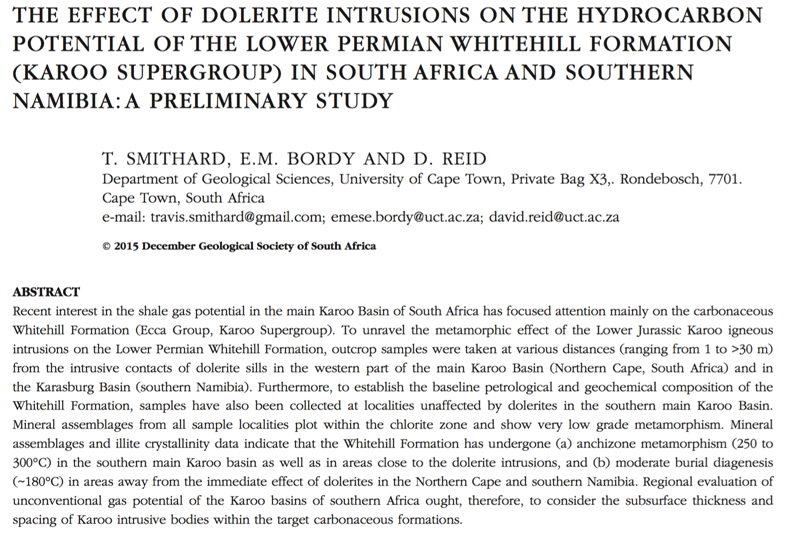 The Effect Of Dolerite Intrusions On The Hydrocarbon Potential Of The Lower Permian Whitehill Formation (Karoo Suergroup) In South Africa And Southern Namibia: A Preliminary Study - African Journal of Geology, December 2015, V. 118, P. 489-510. The Karoo Fracking Scenario: Can Development And Environmental Wellbeing Coexist, Or Must One Of Them Prevail?